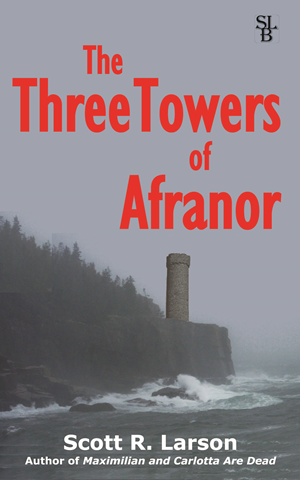 The time between the decision to produce a paperback version of my novel and the hand-off of PDF files to the printer turned out to be surprisingly brief. I attribute this in equal measure to years of apparently still-relevant experience in press prep and production and unfettered heedlessness. But the road to the PDF hand-off was not without its bumps and potholes. As I have mentioned, I wrote Maximilian and Carlotta Are Dead in a way that was targeted to the e-book format. The paperback format was an afterthought. This raised some issues. While most authors—to judge from a non-random sampling of their blogs anyway—seem to do their writing with Microsoft Word or other full-featured word processor, I prefer Notepad++. Yes, I use a fancy text editor—something programmers use to write code—to produce my prose works. Rather than select text and make it bold or italic or whatever, I do my formatting by typing tags right in my file along with the text. I write in Hypertext Markup Language, or HTML, the same language that is the source of web pages on the internet—including the one you are reading right this minute. It turns out that the EPUB format (used by most e-book readers) is based on HTML. And once you have an EPUB file, it is fairly simple to convert it to Kindle format, the one used by Amazon and which kind of dominates the e-book market. Having some experience with HTML definitely helps. Years ago when I volunteered to help my friend Caroline with the web site for an Irish film festival in Seattle, I asked her what program she used to author her web pages—expecting her to name some fancy professional slick web publishing product. She delighted me by replying “Visual Notepad”—a take-off of Microsoft’s line of graphically based programming products. In other words, she was doing the same thing I was—writing all the code with a basic text editor. So it made total sense to write my book in HTML. Doing that in Notepad++ is not WYSIWYG (“what you see is what you get”) but it’s a simple matter to preview my work by simply loading it into my web browser. When the time came to turn it into an EPUB file, I only had to load it into a nifty tool called Sigil, which allowed me to clean up the EPUB and make it acceptable for online e-book sellers. Relatively speaking, a piece of cake. I should point out that I am by no means the first one to figure all this out. Lots of other authors have trod this ground long before me. In particular, I found a blogger who calls himself Notjohn very helpful in publicly sharing his own experience and knowledge when it comes to self-publishing, thereby saving people like me lots of time. And lots of other authors have also done the same. Members of the author/self-publishing community are nothing if not supportive of their potential competitors. To their credit they clearly understand that making a living from writing is not a zero sum game and everyone benefits from their mutual support. 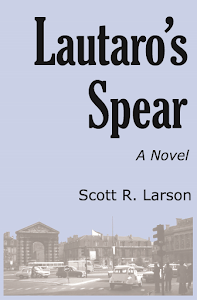 So from a technical point of view, publishing my novel as an e-book was relatively straightforward. But when I realized that I needed to publish it as a paperback, it was less so. Unlike an e-book, a printed book needs to have headers and footers and a definite page size and hard page breaks and all kinds of stuff like that. You can’t do all of that with HTML code and, moreover, the printer requires PDF files. There was no way around it. I was going to have to haul out Microsoft Word. With that realization I found myself immersed in a strange state of déjà vu. You see, that particular software product and I go back a long ways. A quarter-century ago I was tasked by my then-employer with turning that word processor into some kind of viable desktop publishing tool for the purpose of printing books—something that had not been in the minds of the software developers who had written it. I had seen this movie before. But surely in the ensuing two decades all the hassles of trying to do typesetting, paste-up and press prep with a PC word processor and interfacing with Adobe’s industry-standard software for press jobs had long since been resolved. Right? Right? Clearly, the demise of the paper book—the one you can hold in your hands and turn the pages and even dog-ear the corners of the pages—is not at hand. That may not be news to you, but it was to me. I had read somewhere that most books now purchased are ebooks—specifically ebooks in the Kindle format, that is, ebooks sold by Amazon. Not being a Luddite, I was willing to go along with this. To be clear, I was not wishing for the death of the hard copy tome. For years I made my living preparing pages for the printing press. I started at it long enough ago that the first shop I worked in—my hometown weekly newspaper—was still using hot metal type for some jobs. But the technology which, at that point, had barely changed since the days of Johannes Gutenberg was entering an era of change that would dwarf all the innovations of the previous four centuries. I learned to typeset with cold type, i.e. on a machine not unlike an electric typewriter which printed text directly on a galley. Later I would work on a machine that would print on a galley by exposing the text on photographic paper which then had to be developed with chemicals. The Seattle design company I later worked for would have a booming business in preparing its clients’ pages for the printing press. Just as quickly, though, that business dried up when the clients realized that they could do their own press prep on Apple Macintoshes using PageMaker. Through all these changes, I prided myself on being nothing if not adaptable. So I was not fazed when ebooks appeared. In fact, for me they were a godsend. Not only was I running out of room on my shelves for physical books but traditional books were steadily becoming unreadable for me. I was developing cataracts, and I was having to resort to extremely bright lights and sometimes magnifying glasses to be able to read. But using apps to read books on an iPad solved the problem. I could make the text as large as necessary, and the backlighting ensured that the text was clear. Also, I could read in bed without any other light. And I could take a huge number of books with me conveniently wherever I went. So I wasn’t shocked when I read that most new books being sold were ebooks. Yes, I would still have paper books that I had had for years and would keep and continue to cherish. But I wasn’t going to be reactionary about it. Yes, I felt bad about the quaint and attentive small bookstores that were already under assault by huge chain stores and now had to contend with a shift to online book shopping. But the future is the future. I wasn’t going to be the last guy driving a horse and buggy down the urban expressway. So when I published Maximilian and Carlotta Are Dead, I did so in Kindle format. It was always in the plan to also put out an epub version to make it available as well to ebook readers other than the Kindle. But I considered a paperback version optional. I knew that there would be some people who hadn’t made the transition to ebooks, but I wasn’t prepared for the number of people who contacted me and said that they would like to read my novel but that they would not be reading it until it was available as a physical book. More than one person posed a question that, frankly, hadn’t really occurred to me: How can one get an author’s autograph on an ebook? 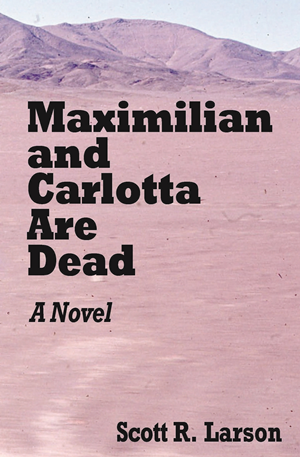 So I have already begun working on a paperback edition of Maximilian and Carlotta Are Dead. Technically, the ebook was relatively easy to produce. The end product there was merely a computer file that could be viewed by Kindle devices and apps. My deliverable for a paperback book is somewhat more complicated. That will consist of PostScript files suitable for physical printing. Suddenly those skills I had to develop for various employers and clients two or more decades ago have become newly relevant. And, yes, for all my embracing of the future, there will be no small amount satisfaction in finally holding in my own hands a physical book that I have written myself.